HCMC People’s Committee made a decision to reclaim nearly 4,900 square meters of the “golden land” pierce in Le Duan street, District 1 to implement land use right auction procedures on November 11. The decision specifies that the 4,900 square meter “golden land” pierce No 8-12 Le Duan in Ben Nghe ward comprises the premises at No.8 Le Duan covering 3,460 square meters and the other at No.12 Le Duan over 1,430 square meters. They have been let out and allotted to Lavenue Investment Company (Lavenue) according to the committee’s decision made in May, 2016. The decision requires Lavenue to hand over the land pierce, land use right certificate and other relevant legal papers to HCMC Land Development Center which is assigned to receive, manage and prepare for land use right auction. The Department of Natural Resources and Environment has been asked to work with the Department of Finance and relevant agencies to submit to the city People’s Committee measures to auction the land use rights according to regulations. In addition, the environment department must update and adjust land database as well as cadastral records and revoke the certificate that has been granted to Lavenue. 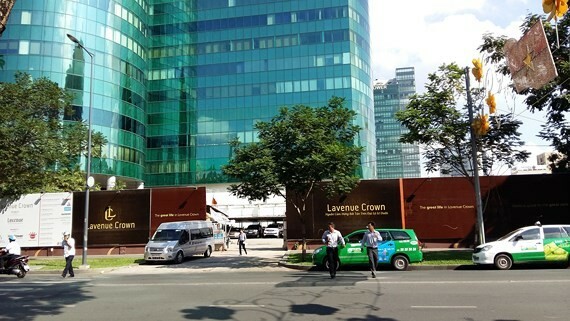 In case Lavenue does not hand out the certificate, authorized agencies should make an announcement saying that the certificate has no longer been valid. The city People’s Committee also required the chairman of Ben Nghe ward People’s Committee to give the land reclamation decision to Lavenue. If the company does not receive the decision or it is absent, they should draw up a report and post the decision at the headquarters of the ward people’s committee and the community’s public places. District 1 People’s Committee has been assigned to supervise land use and handle violations (if have) at the above "golden land" plot in a timely manner. The land pierce has been leased and allocated to the wrong subject according to the Government Inspectorate’s conclusion. The land recovery accords with Article 64 of the Land Law.